Description: This lady from Fort Myers, FL wanted lip augmentation to attain fuller, more sensual lips. 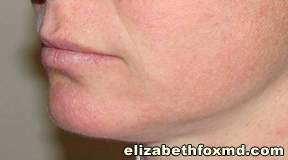 Dr.Fox performed fat injections to the lips to reduce fine lines around the mouth and define the cupids bow(vermillion border). Lip enhancement often improves self-confidence and sexual confidence.